Electronic Manufacturers: It's Time to Start Blogging! Seems like an unlikely duo. And I get it, who has the time to “blog” when there are circuit boards to be assembled, prototypes to be designed, and quotes to be prepared. It’s a common thought held by many and even once held by our CEO and President. But what if I told you there was a way to stay up-to date with fellow electronics manufacturing industry leaders, boost your website’s SEO, communicate with current customers, while also getting introduced to prospective leads? And better yet... all this for free! That's where the beauty of blogging comes in. When it comes to blogging, a lot of times the first reaction is: “I’m not a writer,” or “I don’t have anything that anyone would want to read about.” But that’s where you’re wrong. For example, think of a time while working in the electronics manufacturing field that you were stumped about something, maybe it was an inventory issue, a product service concern, a counterfeit board, or even on how to properly onboard employees in your electronic manufacturing setting. Like millions of people around the world, you may go to “Google” to solve your problem and an informative article pops up from a fellow electronic manufacturing company blog with your answer. Let’s look at it from the perspective of that “fellow electronic manufacturing company” such as RBB, because a few monumental things have happened here. We were found via a search engine such as Google, since we used proper keywords, outbound links and had fresh, up-to date content. We helped out a fellow electronic manufacturer by providing them with what they needed and since we are in the business of small batches, they just may remember our name when it comes to any small batch work they may have down the road. Last but certainly not least, through our educational and informative blog posts, we were able to show that we know what we are talking about and a prospective customer can feel comfortable knowing our company is knowledgeable and experienced. Talk about a free sales pitch! There are quite a few blogging platforms out there and my advice is to explore the different options and talk to your tech and website people about what the best fit for your website would be. There are a number of different blog add-ons and tools out there. For example if you want to be able to share and embed videos, or utilize Google Analytics you would need to make sure your platform supports it. Personally, my favorite platform is WordPress because of its usability and convenience. With any type of new endeavor you want to make sure you have some type of plan or strategy in place helping you accomplish your end goals. In our electronics manufacturing company we brainstorm different ideas, common issues, current trends or exciting events going on company wise such as a recent award or upcoming trade show. We create a list of keywords that we want to be searched and found with and then after deciding what the purpose of our blog is, we put together a schedule, giving our blog direction while staying aligned with our company’s mission and brand. While the President and CEO of the company has a ton of beneficial things to share about leading and managing an electronics manufacturing company, he or she may not be the best person to share their knowledge of other things going on in the business. That’s where recruiting an electronics assembler in the shop, or the sales manager, engineer, or company accountant to blog comes in. Each one of these team members are invaluable parts of the company and have a unique view and story to tell. In addition to recruiting people within your company, you can also utilize additional guest bloggers from companies you work with, or possibly even a customer you serve that would be willing to write a blog post. By recruiting a diverse group of bloggers, you are able to reach an even more diverse audience! 3. It’s Time To Share! Once you have established who’s blogging and about what, it’s time to share your content! RBB’s first step is to have someone proofread and edit blogs before sharing. Having a million grammatical, punctuation or spelling errors is a sure-fire way to possibly negate all the valuable things you have to share. (Side note, I am sure I have a few in this blog post so please don't hold it against me.) You also want to make sure to not be obnoxiously "self-promotional." But in all honesty, fellow industry readers, prospective and current customers could see that and never come back to both the blog and the company. You want to be using your blog to provide value, not attempting to aggressively sell your product or company. Once you have the blogs cleaned up and ready to be posted, now it’s time to hit up your social media outlets. 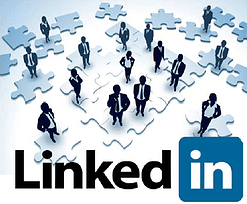 While Facebook and Twitter are great tools to push your blog, the social media outlet we have had the most traction and fun with is LinkedIn. 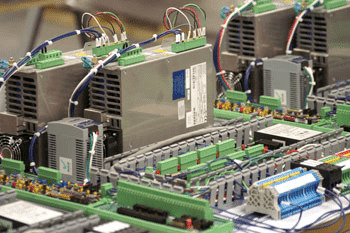 There’s an abundance of industry specific groups devoted to individuals and companies in the world of electronics manufacturing such as “Contract Manufacturing Professionals,” “Printed Circuit Board Technologies and Solutions,” or “IPC - Association Connecting Electronics Industries” just to name a few. Utilizing these groups have allowed us to share our content while also engaging with fellow electronic manufacturing professionals. So there you have it! There are tons of additional tips out there regarding blogging for business. Check out fellow industry blogs, research blogging do's and don'ts and begin creating your strategy. Working in the world of electronics manufacturing, you’re most likely very well aware of common issues, concerns or trends that occur. Now it’s time to let the rest of the (digital) world know! Kara enjoys all things marketing. She works full-time at a non-profit organization helping develop and manage online marketing, driving brand awareness, engagement and traffic to social media pages and the company website. She enjoys traveling, learning and meeting new people.